Zotrim is ideal for you if……. Zotrim is unlike most other slimming tablets we have seen. It contains a mixture of 3 natural plant extracts – Yerba Mate, Damiana, and Guarana. Each of these plants have been scientifically proven to help you reduce your food intake, cut out snacking between meals, and boost your energy levels. It is this mixture that helps you to eat less, stop snacking, and increase the amount of exercise you do. If you are looking for a natural weight loss aid that also helps you get out and stay active then Zotrim seems to tick all of the right boxes. You might be wondering what the 3 plant extracts we mentioned actually are. Yerba Mate is a species of holly native to South America, it has been shown to have similar qualities to caffeine to help stimulate your body and mind. Damiana is a shrub native to the Caribbean, it us used for a wide range of different reasons from curing coughs to creating an aphrodisiac effect. However, it is present in Zotrim for it’s qualities as an energy booster. Guarana is a climbing plant from the maple family. Found mostly in the Amazon it is a plant you have already heard of as it used in many common foods and drinks available in your local supermarket. 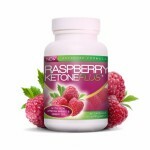 It is primarily used as an appetite suppressant but it has also been shown to have an antioxidant effect. These three natural ingredients, when combined together in Zotrim, have been clinically proven to aid weight loss. How is Zotrim different to other slimming tablets? 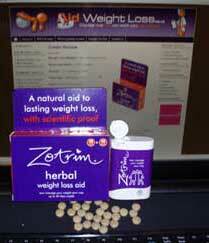 We have been unable to find any other slimming tablets that use the same mixture of ingredients as Zotrim. For this reason it makes it a little harder to compare it to other products. However, one thing that is clear is that Zotrim probably has more clinical proof of it’s effectiveness than another other slimming tablet. A lot of products claim to be clinically proven but most are just using evidence linked to one of their ingredients, not a clinical trial conducted on their actual product. Zotrim is different because all of it’s clinical proof has been collected from tests on the very same tablets you can buy online or from your local supermarket. Before you buy Zotrim we suggest you think carefully about whether it is the right product for you. Zotrim works best when combined with increased physical activity. Therefore if you do not plan to exercise, Zotrim will not give you the best results. However, if you recognise that a little more exercise would help improve your health but you struggle to find the energy, the energy boost Zotrim provides makes it a good choice for you. In addition you also get the appetite suppressant benefits so you should find yourself eating less and exercising more – the perfect recipe for weight loss. 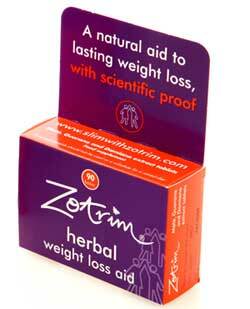 Of the AidWeightLoss.co.uk team there is only one of us who decided that Zotrim was our best chance of weight loss. Most of us were fairly inactive and did not see that changing, however, Suzanne decided that she would give it a try. Suzanna has always been fairly active, enjoying sports such as tennis and badminton. However, she admitted that she had stopped exercising much recently as she was always too tired after finishing at work. 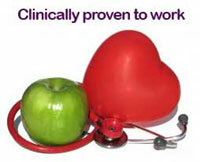 She has reported that since taking Zotrim she has felt much more energized and exercising is no longer a chore. According to Suzanne she has not noticed a major appetite suppressing effect although does admit that she doesn’t snack between meals as much. The main benefit she has seen is the increased energy which has allowed her to play more sports and lose weight. What are the negatives of Zotrim? When you get a product with so much clinical proof, unless it has side-effects, it is not always obvious what the negatives to it are. Even though Zotrim does not have any known side effects there are a couple of potential negatives to consider. Firstly, as Suzanne would testify, the appetite suppressing qualities are perhaps not quite as intense as you might hope. To us, Zotrim seems to be very effective at helping you become more active – which in turn helps you lose weight. Of course, this is not a bad thing but it’s important to realise this is not a miracle pill and you will need to exercise to see results. The second negative is that you do need to take 2-3 pills before each meal. This obviously means you can end up taking up to 9 tablets every day. Although the tablets are very small and easy-to-swallow, having to take so many pills can become quite annoying. The pills are natural so they won’t do you any harm it’s just the inconvenience that can be an issue. The third negative is linked to the point we made above. On the Zotrim website a 1 month supply is sold as a twin pack of bottles, this gives you 180 tablets in total (90 per bottle). If you do the maths, at the maximum dosage of 3 pills per meal (9 a day) then a 1 months supply will only last 20 days. It’s not that it’s false advertising as if you only take 2 pills per meal then a 1 months supply should last a full 30 days, however it’s something to be aware of when you order. As we have mentioned above, Zotrim offers big discounts on the price when you buy multiple boxes. A one months supply currently costs £22.45 which is less than if you buy at the supermarket. What you cannot get at a high-street store is a price discount for buying multiple boxes. If you purchase through the Slimming.com website then you can save up to 45% by buying more than a months supply. On a 6 month supply you actually save a massive £80.64, bringing the monthly cost down to just £16.50. As you will need to keep the energy boost from Zotrim going for a while to start exercising more and get back in to shape, we recommend you go for a 3 month supply. Not only will this means you have 3 months of benefits and weight loss, you will also save 40% off the normal selling price. If you are looking for a slimming tablet that can offer you more than just a opportunity to lose weight then Zotrim is a very wise choice. Combining appetite suppression with a boost in your energy you can get back in shape and feel good without anyone learning your secret. Perfect for you if you want to exercise but lack the energy to get up and do it. Also great if you find your energy levels dip between meals unless you snack on sugary food. Zotrims combination of plant extracts can help you get on top of both problems. Perhaps the energy boost is a bigger reason for buying Zotrim than the appetite suppression benefits, however no one can argue with the 8 successful clinical trials Zotrim has gone through to prove it works. So robust is the evidence that Zotrim is available from a range of high-street stores which you know and recognize. However, for the best multi-pack savings your best choice for low-cost yet effective weight loss is to order from the official Zotrim site online. What kind of information would you like? If you can let me know Ill try and provide it.